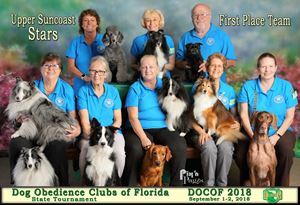 DOCOF is an association of clubs and training schools from across the State of Florida who gather together annually in friendly competition. 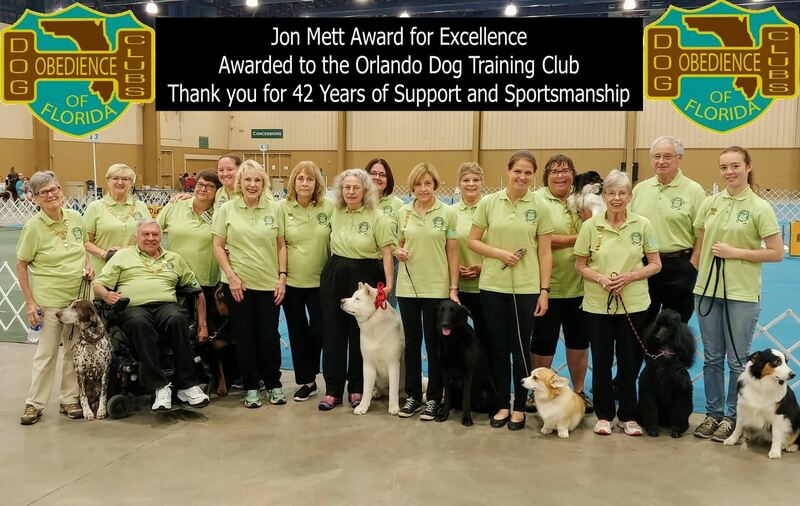 The organization's goals are to promote humane dog obedience training through the cooperation of all member organizations throughout Florida, and encourage sportsmanlike competition. We will be having a Rally event on Saturday August 31. For more information, Click Here. 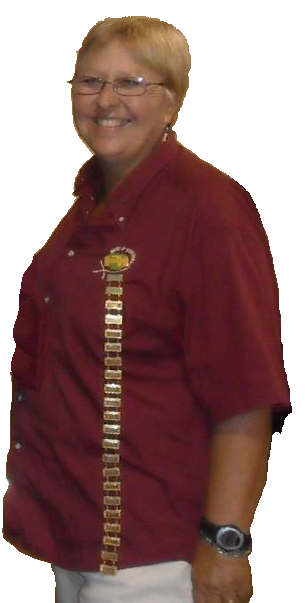 There has been a demand for pins and bars for team volunteers. We will purchase these bars by request only. These pins and bars will be just like the regular pins and bars but will be silver colored rather than gold. 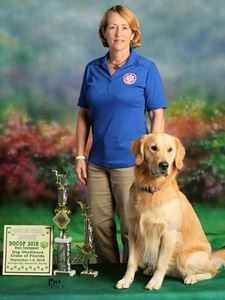 Susan Handy has volunteered to manage this for use and a form for the volunteer pins and bars can be found under the forms tab. 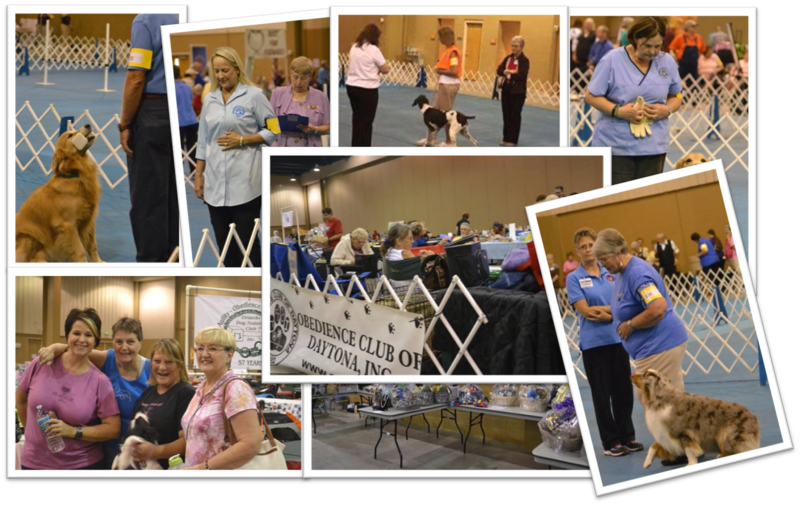 THANKS TO ALL THE EXHIBITORS AND VOLUNTEERS. 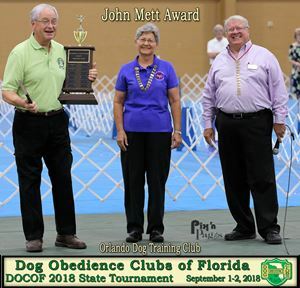 DOCOF follows AKC Obedience Regulations with a few exceptions. 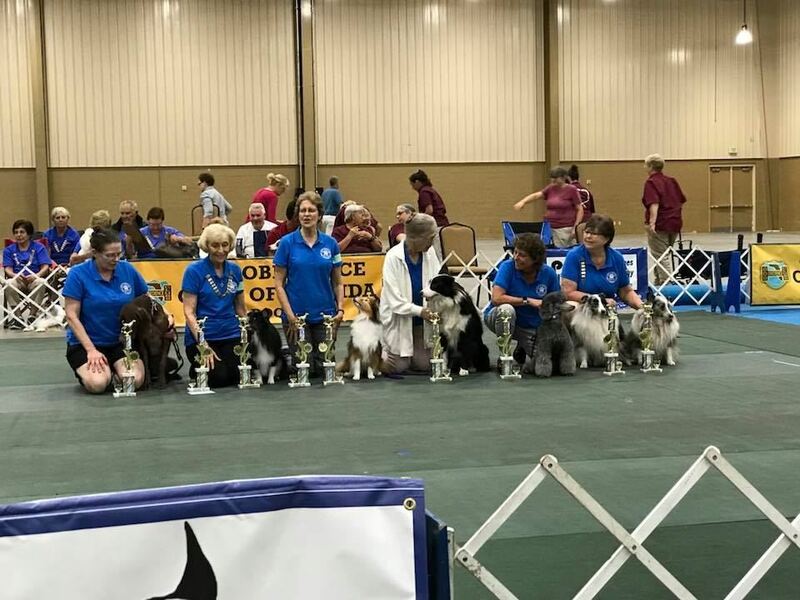 Since the tournament is a team competition, and since it is not an AKC event, certain rule changes were necessary in order to make the event as fun and exciting as possible.